by Kitchen & Bath, Etc. By Kitchen and Bath Etc. 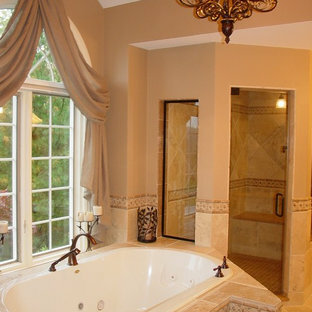 Beautiful traditional master bath with soaking tub overlooking the back yard. 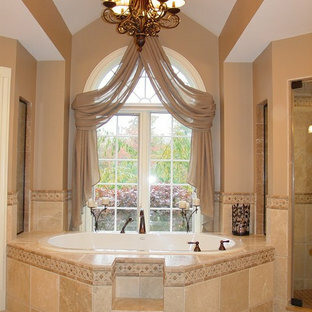 The chandelier, swag drapery, tile, and oil rubbed bronze finishes add an old world feel. Ornate French provincial home office/study. 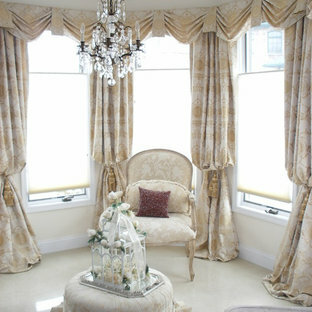 Custom window treatments and decorative accessories by KH Window Fashions, Inc. The corner of a mahogany library became the cover page to a Morris county, NJ magazine featuring home libraries. 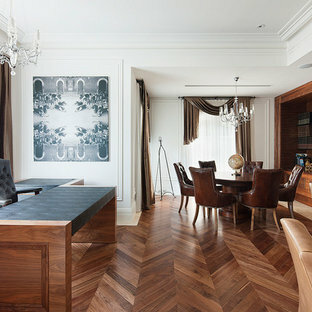 The true mahogany wainscoting and chairrail created a welcoming space to sit and read or listen to music. Furniture and window treatments were custom added to create an old world look. 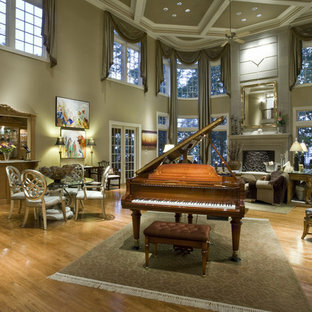 Window treatments were fabricated from cashmere wool. 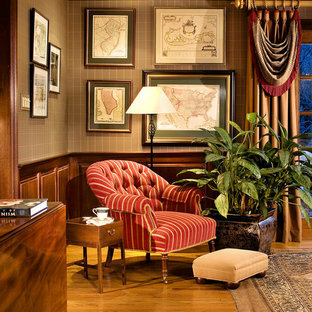 The wallpaper and fabric valance are from the Ralph Lauren collection. Inspiration for a large traditional front yard concrete paver driveway in DC Metro. By Siena Custom Builders, Inc.